Google Slides have had an impressive growth over the years. 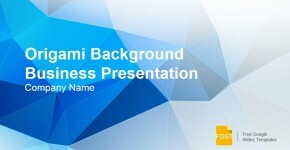 Today, it is one of the most popular tools online to make presentations and seriously it is becoming a strong competitor for other popular presentation tools and software such as PowerPoint. Prezi is other player in the presentations sector that had a very interesting growth over the years, amassing more than 50MM users. If you are part of a team and your colleagues and you are creating or working on a last-minute presentation, then all the team members can participate and edit the same presentation online. 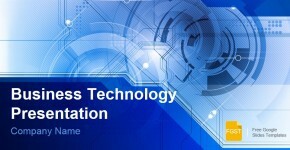 The team members will automatically be able to access the slides or preview the presentation real-time. Collaborating in Google Slides is very easy and prevents you or your colleagues to send files back and forth or share files via Dropbox to do the work. All the assets are saved in the Google Slides presentation online. 2. Google Slides Apps for iOS and Android Have Support for Chromecast and AirPlay. In Google Slides you can control your slides from your smartphone or tablet and project it directly in a TV. Of course it also works with a traditional projector but in some modern presentation rooms you won’t need to deal with Audio/Video interfaces in order to start your presentation. PowerPoint doesn’t built-in support for AirPlay or Chromecast, however there are some 3rd. party tools that enables Chromecast support for PowerPoint presentations (ShowCast is one of these). The user interface provided by Google Slides is much simpler than Microsoft PowerPoint. 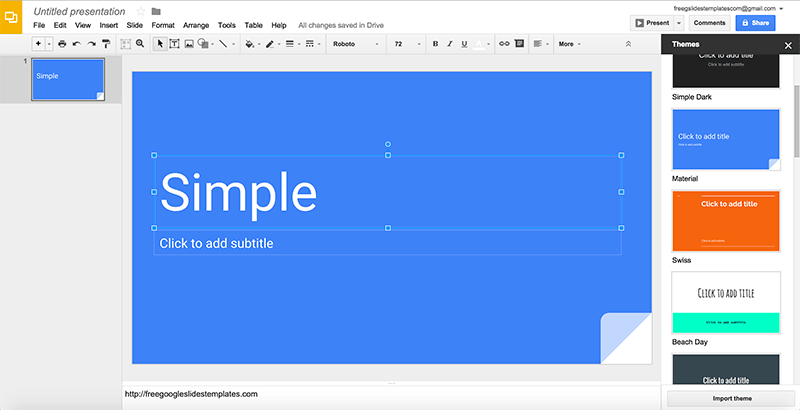 Google Slides does pretty much everything that PowerPoint does but the simplicity of the UI encourage users to create a simpler presentation. Google Slides ease the process of publish and share presentations online. With a few clicks, you can share your presentations online and publish it in a web format. In recent versions of PowerPoint this feature was added and Microsoft launched a new service Docs.com, aimed to offer a similar approach. Publishing is also possible in 3rd. party platforms such as SlideShare or SlideOnline, too. You don’t need to leave Google Slides to do a research online. The Research pane allows you to conduct a search of information and cite sources directly into your slides. To access Research pane, go to Tools and then click Research or right click on any word on your slide. 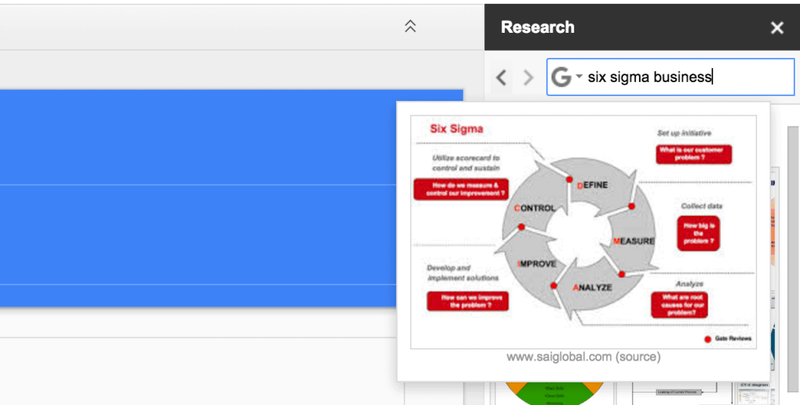 Of course, the research feature is totally supported by Google search. The Research tab enables the user to research through different categories including Google Scholar, Dictionary, Videos, Images, Quotes, Personal data (for instance, within your Google Drive content), Tables and more. Google Slides is completely free, you just need to have a Google Account to get started (and creating a Google Account is free). While Microsoft have a free version of Microsoft Office including programs such as Excel or PowerPoint Online, not all the features are available. However, if you just need to open your presentation then you can opt to use the PowerPoint Viewer which is free. Themes in Google Slides are equivalent to themes in PowerPoint, you can choose themes from an existing collection of designs or alternatively you can reuse any of the free themes for Google Slides that we publish here. Migrating from PowerPoint to Google Slides can be straightforward. You can import any presentation in PowerPoint into Google Slides and it will be converted to Slides automatically plus it will preserve your comments and other assets. Once the presentation is imported into Google Slides you can modify the slides or create other versions. All changes will be saved in the changes history so you can revert back to any previous version if needed. From TED.com: this TED talk is very interesting and inspiring as it suggest a way to donate your voice to the Voice Bank initiative.